In today’s global economy, the ability to interact effectively across cultures is a fundamental job requirement for just about everyone. But it’s impossible to learn the customs and traits of every single culture. David Thomas and Kerr Inkson present a universal set of techniques and people skills that will allow you to adapt quickly to, and thrive in, any cultural environment. You’ll learn to discard your own culturally based assumptions and pay careful attention, in a mindful and creative way, to cues in cross-cultural situations. 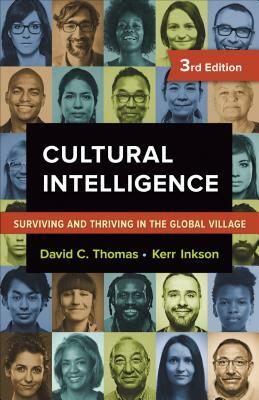 The authors show how to apply cultural intelligence in a series of specific situations: making decisions; communicating, negotiating, and resolving conflicts; leading and motivating others; and designing, managing, and contributing to multicultural groups and teams. David C. Thomas is the Beedie Professor of International Management at Simon Fraser University, Vancouver, Canada. Kerr Inkson is an emeritus professor and research advisor at the University of Auckland Business School in New Zealand.